ARC800 Series Paperless Recorder uses the most advanced technology and can apply to various industry applications. AMF300 Series is a threaded type electromagnetic Flowmeter ideal for conductive liquids. It comes in sizes from 2.5 to 40 mm. AMF series flow tubes in both compact or separate versions. 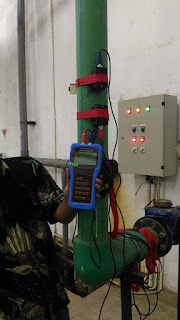 ALIAVA AVF250 Series is a flowmeter commonly used in Auto-industry process control. It's with small volume, wide range and easily operation. ARC900 Series Paperless Recorder used the most Advanced technology, to be aimed to various industry application. AMF900 Series is a flange type Electromagnetic Flowmeter ideal for conductive liquids. It comes in sizes from 6 to 2000mm. AMF500 Series is a wafer type electromagnetic Flowmeter ideal for conductive liquids. It comes in sizes from 25 to 200 mm. AUF750 series is a fixed mounted, transit-time ultrasonic Flowmeter, with clamp-on transducers for non-invasive liquid measurement. ALIASONIC AUF760 series is a fixed mounted, transit-time ultrasonic flowmeter, flange end transducers for non-invasive liquid measurement. ALIASONIC AUF600 series is a portable transit-time ultrasonic flowmeter with clamp-on transducers for non-invasive liquid measurement.